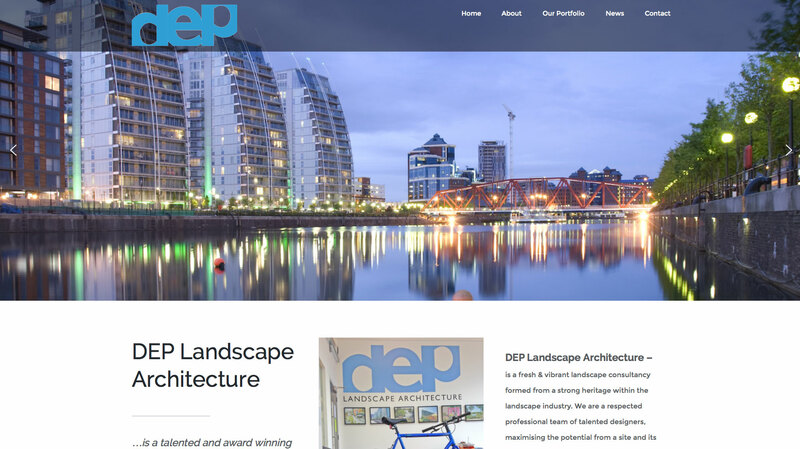 After working closely with the client, we are pleased to announce the launch of the new DEP website at DEP Landscape Architecture. The launch also moved all hosting and email to new servers with no disruption to normal business operations and has integrated this with Office365 for a robust business solution. DEP are now pleased to have a site they are proud of and can enhance it as required, to inform customers of upcoming events and new landscape developments around the UK. DEP Landscape Architect are a fast growing and innovative Landscape consultancy based in the heart of Manchester.